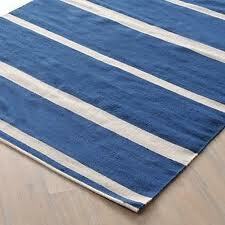 Dhurrie rugs are traditional floor-coverings in India made of silk, jute, wool and cotton. These thick flat-woven rugs are easy to maintain because of their very short pile that doesn't collect as much grime as longer haired rugs. When cleaning your dhurrie rug, carpet cleaning Clapham suggests the following steps in order to keep the good appearance of the rug for many years ahead. Usually, all that you need to keep the look of the dhurrie rug is to vacuum it weekly. Vaccuming will remove dust and crumbs, but be aware that it can also tear apart the stitching over time if you vacuum the border fringe or weaving too often. If there is any dried residue on the rug, scrub it gently with a soft brush and then vacuum to pick up the loosen residue. Use paper towels to blot up any liquid spills and stains that have occurred on your dhurrie rug. Do not rub, as this will spread the stain. If the dry paper towels don't remove the stain completely, use some cold water to wet them then continue blotting. For stubborn stains, use some liquid dish soap. Apply a drop of the liquid dish soap onto a small, hidden part of the rug and blot the area with a cloth moistened with cold water. If no colour fading occurs, repeat the process on the stained area of your dhurrie rug, otherwise consider hiring professionals such as carpet cleaning Clapham team. Examine the floor under the rug for stains, and clean it as usual.